A recent study released by software provider/publisher of excellent hack-turned-flack editorials Contently combines two of the hottest topics in PR today: data and original content. As our headline notes, the vast majority of participants in the study aren’t comfortable with the relationship between the two: 90% say they aren’t sure that they’re measuring the success of their material effectively and a small but still surprising 7% aren’t measuring it at all. The big question: what would marketers like to be measuring? The answer: influence. Those numbers look surprisingly small to us. There is consensus on the purpose of content, though: 73% said it’s all about increasing brand awareness. Of course, Contently itself provides measurement tools as do many of the software providers who pitch this very blog. It’s true that the study, like most others, doubles as a Contently promo, but it’s still very much worth a read. 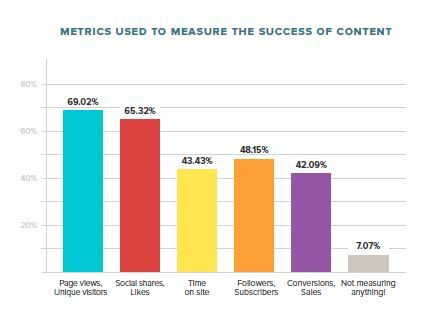 Now how do we feel about the current state of content measurement?